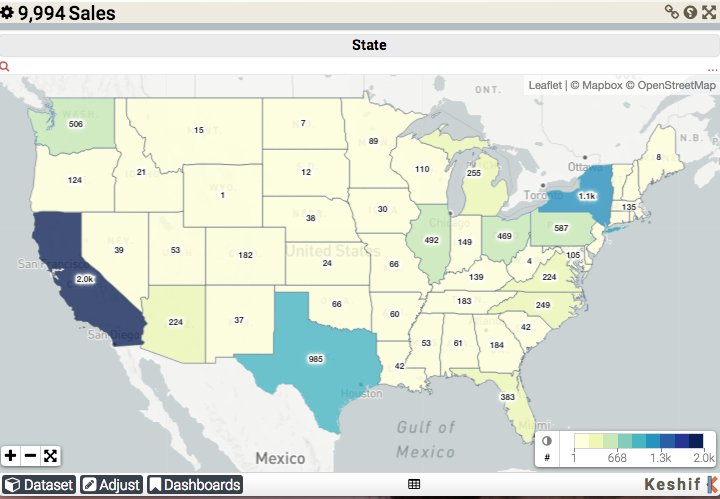 You can create maps with Keshif in a single step to visually explore location data. Keshif can automatically create rich interactive maps that display each data point individually, or show trends by grouping (aggregating) data by location. Keshif supports both regional and point (latitude-longitude) data. Keshif can detect the geographic structure of data. Read on to learn about your options for map preparation. If the dataset has a column describing the "Birth Country" of a list of people (for example, Nobel winners), you can analyze the country information to identify number of people (winners) per country. Keshif will automatically create a rich map that shows the number of the winners across all countries. If the dataset is a list of countries, with other columns describing information about each country, each row (country) will identify a unique location. 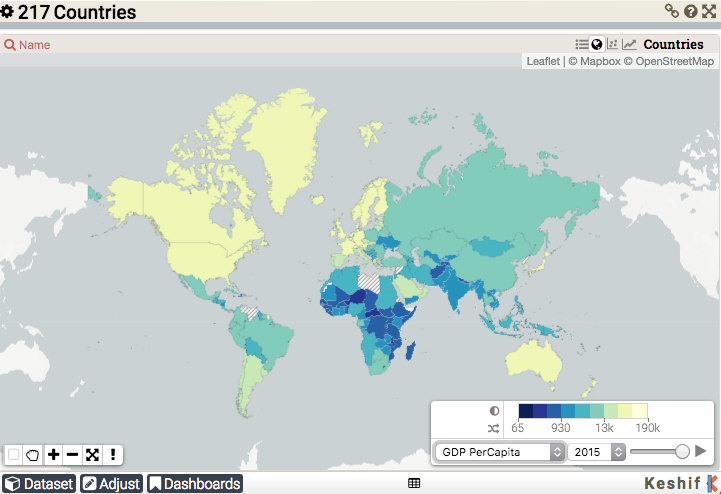 Keshif will automatically create a rich map that shows all countries individually, where color can show the country features, such as population or GDP per country. You can read an overview of other chart types in Keshif in our blog.